Movie Review - First Man - Honk if you love justice! 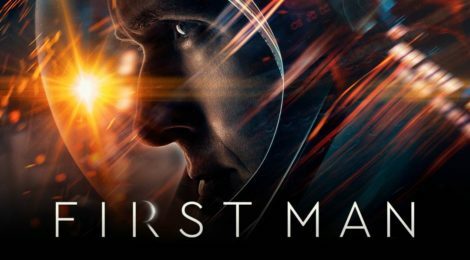 I went to an early screening of First Man, and while I enjoyed it, I wasn’t blown away. It should be noted, this is a biopic about Neil Armstrong, so the technical details about the space program are in the background. What you have is a deep dive on Neil as a civilian pilot and father, and how that affected him getting to space. We learn about Neil Armstrong through the lens of his family. He struggles mightily with the death of his 2 year old daughter from a tumor, leaving his wife Janet (Claire Foy) to try and cope with little support. She lives with the constant stress of how dangerous Neil’s job is, even before he becomes an astronaut. At one point Janet mentions that they attended ‘four funerals at Edwards’ which drives that home. Armstrong (as played by Ryan Gosling) is a fairly reserved fellow; he’s “pleased” to be chose as the commander of Apollo 11. Damien Chazelle made an odd choice to film a lot of the emotional scenes super-close to Gosling’s face. It’s a stark contrast to the action scenes, which are mostly first-person Paul Greengrass-esque shakycam. Not that it isn’t appropriate for a rocket blasting off, but it is a shift. First Man is well acted from the leads, and has some recognizable faces supporting. I like Corey Stoll as Buzz Aldrin. He would definitely punch out a moon landing denier. I don’t know that I’d give it the Oscar but it’s a good way to spend an afternoon.